U.S.-wide registrations of franchise programs. Advising on exemption-based franchising, avoiding certain franchise and business opportunity regulations. Advising on implementation of marketing funds and national advertising programs. Advising on pre-litigation disputes with franchisees and master franchisees. Negotiating area development agreements with large franchisees and area developers. Beata’s practice also encompasses other distribution models, and she assists clients in managing their distribution networks. These can consist of distributors/dealers, sales representatives or a combination of the two. She works with clients on ensuring form contracts are up to par and navigating equipment dealer laws, as well as assisting on terminations and renewals. The legal rankings firm Chambers & Partners has repeatedly recognized Beata among the top franchise lawyers both globally and in the United States, noting her ability to combine legal and commercial aspects to determine the best solutions for clients. Her relationships with foreign companies and attorneys have helped her build a referral network of trusted counsel. The myriad aspects of international deals can make them difficult to navigate, but Beata’s experience as an attorney in three countries — the U.S., Sweden and Poland — gives her a deeper understanding of differences in law and culture. 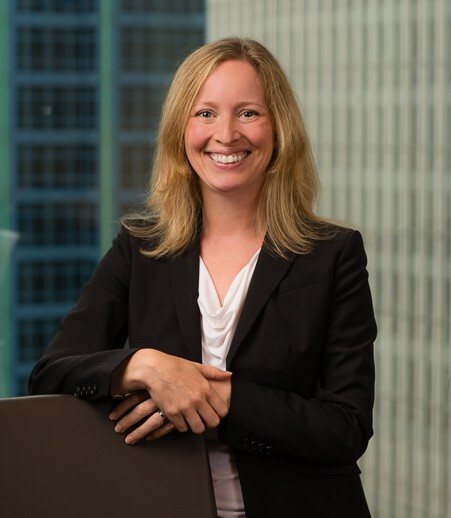 Before joining Greensfelder, Beata practiced franchise law at another large Chicago firm and interned for the Honorable Ann Claire Williams of the U.S. Court of Appeals for the 7th Circuit. In Europe, she practiced in Warsaw with the Swedish law firm of Magnusson Wahlin, assisting foreign businesses with their activities in Poland. Profile of Beata Krakus, "Franchise Legal Players"
News article featuring Beata Krakus, "Penalties Can be Steep for Franchise Law Violations"
Interview with Beata Krakus, "Mixed Bag. Does Wall Street affect Main Street financing?" Interview with Beata Krakus, "Without a social media policy, how do franchises know their 'core values are being conveyed'?" Interview with Beata Krakus, "Attorneys give franchise owners advice about how to use social media"
"Top 10 Mistakes in International Expansion"
"Drafting the FDD for Multiple or Otherwise Complex Offerings"
"Exemption-Based Franchising Throughout the United States"
"Avoiding common mistakes in international franchising"
"International Mergers & Acquisitions of Franchise Companies"
"Hot Topics in Franchising: The Accidental Franchise, Joint Employer Issues and Data Security"
"Caught in the Web of Federal and State Business Opportunity Laws: Managing and Avoiding the Entanglement of Regulations"
"The Use of Consultants and Paralegals in Franchising: Are you Aiding and Abetting the Unauthorized Practice of Law?" "Social Networking - Best Practices for Franchise Systems"
"From License Agreement to Regulated Relationships: The Accidental Franchise"
Co-author, "The Annotated Franchise Agreement"
"Barriers, Foreseen and Unforeseen, Face Franchisors Entering the U.S."
"Due Diligence on Franchising Systems"
"Franchisee Bankruptcies and Receiverships: What You Don't Know Might Surprise You"
"New FTC Business Opportunity Rule May Apply to Some Exempt Franchisors"
"The New FTC Business Opportunity Rule Makes Waves: Impact on Franchise Systems"
"Social Media: The Legal Implications on Franchise Systems"
"Recent Changes to the FTC Business Opportunity Rule: A Trap for the Unwary"
"Changes to the Illinois Franchise Disclosure Law Effective October 1, 2009"
"Do Franchise Agreements Without Formal Expiration Dates Continue in Perpetuity?" "Observations on Negotiating Franchise Agreements in Today's Legal Environment"